Modi wouldn’t like to play the waiting game for six months without being sure of coming back with a similar mandate. Despite the Budget session of Parliament coming to an end last week, the government and the Opposition have been engaged in a blame game ever since. On the penultimate day of the session, parliamentary affairs minister Ananth Kumar declared that the BJP MPs would forfeit their salary for the session which was dubbed a "gimmick" by the Opposition. As the session officially came to an end on April 6, Prime Minister Modi addressed BJP MPs and announced a fast on April 12. The Congress tried to pre-empt it with a competitive fast and scheduled it three days ahead of the BJP’s. At the customary post-session tea meeting at the Rajya Sabha chairman’s chamber on April 6, Opposition leaders had warned that the monsoon session could also see a washout if the government were not to initiate back-channel talks and try and resolve the special status for Andhra Prasesh and address other major issues in the interim. They have also vowed to continue pressing the no-confidence motion after failing to get it taken up by the Speaker, who took recourse to the same excuse of the House not being in order to keep it hanging till the House got adjourned sine die. With the one-upmanship between the government and the Opposition now playing out in the open, it is likely that things could go from bad to worse. The BJP might find it tough to negotiate a deal with the opposition parties to prevent them from going ahead with their no-trust motion come next session. A "policy paralysis" might be the result with legislations grinding to a halt. Moreover, the campaigning for Karnataka Assembly elections could further soar political temperature as the summer peaks next month. I had written in a previous column that the advancing of Lok Sabha elections by six months to November/December of this year - along with the Assembly elections of Madhya Pradesh, Rajasthan and Chhattisgarh - could be predicated based on the results in Karnataka. 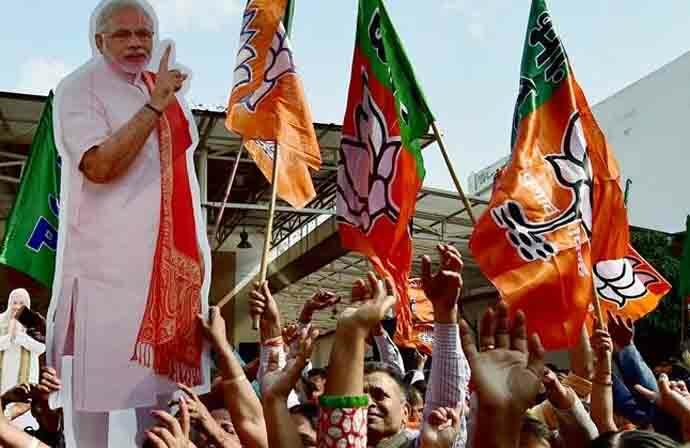 A BJP win could be seized by the prime minister to carry forward that momentum by advancing the elections thereby also rendering the huge anti-incumbency in these states irrelevant. However, there are enough straws in the wind to predict an early election, regardless of what Karnataka eventually throws up. The government would hope to take advantage of a favourable monsoon offering temporary respite from the rural distress and bank on the crucial Ayodhya verdict by September 30, before chief justice Dipak Misra’s retirement in October. Now, regardless of which party gets a favourable verdict, it’s a win-win situation for the BJP to make it a central plank. There is another school of thought which believes that the BJP would be disinclined to advance the polls with the 2004 debacle still fresh in memory. Like chasing teams playing percentage cricket and taking games to the deep end in cricket matches, they expect Modi to carry on till the end. But the prime minister has often thrown up surprises and has demonstrated an uncanny ability to take calculated risks when least expected; demonetisation being the prime example. In my assessment, Modi would try to be proactive and wouldn’t see the point of playing the waiting game for six months without being sure of coming back with a similar mandate. Modi very well realises that unlike the Congress, where the dynasty gets a long rope like certain Bollywood star kids, he may not get a second chance from the Sangh Parivar once out of power. It would suit him to catch his opponents by surprise and being in control of the narrative. He would try to pin the blame of not ushering in "achhe din" on his political opponents and could resort to an emotional pitch like his Gujarat campaign. He would also point to the Opposition and charge them of uniting with the solitary aim of defeating him a la Indira Gandhi. Modi might also try and exploit the impasse in Parliament to his advantage and try to galvanise public opinion in favour of centralisation of powers to the executive. Ayushman Bharat - the Modi government’s ambitious national health insurance programme covering 40 per cent of the population is also expected to be fully functional by October after the Union cabinet cleared it last month and an outlay of Rs 10,000 crore set aside for 2018-19 (against the Rs 2000 crore in the Budget). With the current chief election commissioner OP Rawat declaring last October that the EC would be fully equipped to conduct simultaneous polls to the Lok Sabha and states by September 2018, it seems the EC has been sounded out on the likelihood of early polls. Generally, the EC requires around 45 days mapping the elections. If Karnataka delivers a fractured mandate, that would suffice for Amit Shah to negotiate an alliance with the JDS. Even if it would have to prop up a minority government headed by HD Kumaraswamy for a while, the BJP would take that under the circumstances to keep the Congress out of power and reduce it to two and a half states. That would also be the perfect break for Modi. But even if the Congress manages to win back Karnataka, Modi might still be averse to change plans and risk losing big states like Madhya Pradesh and Rajasthan before he seeks a fresh mandate. And hence, early general election could be in the offing and announced any time in October. More signs should emerge in the next couple of months.